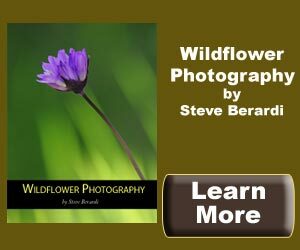 Crater Lake Wildflowers - Explore! Crater Lake Wildflowers - Explore! The growing season at Crater Lake is very short. The typical snow-free season is July to mid-October and frost can occur any time. Certain wildflowers have adapted to these conditions and put on a great display at the park. 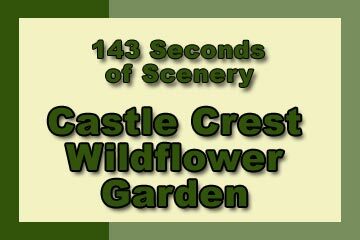 Castle Crest Wildflower Garden is located just south of park headquarters on the East Rim Drive. From an adjacent parking area, you can take the 0.4 mile walk among the wildflowers. The trail guide brochure, available at the trailhead, has sections keyed to markers along the trail. 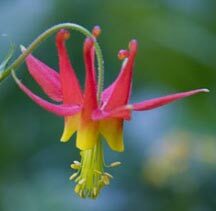 It will help you identify the flowers and understand their role in the mountain ecosystem. In an average winter, 50 feet of snow falls on this area. As the snow melts violets and buttercups bloom, they are quickly followed by blooms of other flowers as the season progresses. Thus, repeat visits to the garden will offer a whole new experience. Throughout the summer Castle Crest Spring provides water to keep the display going. The garden changes from year to year as well. Willows are encroaching on the meadow herbs and the red fir-mountain hemlock forest will ultimately replace the willows. If natural systems are allowed to proceed, some parts of the garden will loose their flowers under tree cover while other parts will gain flowers as trees die and disturbances reset the successional process. While Castle Crest is the focus of the Park’s wildflower interpretation efforts, you’ll see flowers virtually anywhere sunlight, water and proper soils combine. In our experience the flowers at Castle Crest are in their decline by the end of August. Our video of Castle Crest was shot in mid-August while the flowers are still beautiful, but not as spectacular as earlier in the year. While exploring for more wildflowers, we found Sun Meadow. This meadow is located below the East Rim Drive between Vidae Waterfall and Sun Notch. It appears barren from the road and indeed it has a meager display of vegetation of any kind by late August. However, just out of sight, under the tree line is Sun Creek and a spectacular linear display of wildflowers that follows the creek from Grayback Road to the end of the meadow. There we found beautiful specimens of all the flowers found at Castle Crest and more. To get to these flowers, take Grayback Road from Vidae Falls to the Vidae Picnic Area (1/4 mile) and park there. Walk down Grayback Road to Sun Creek, then walk upstream. You’ll notice flowers along the creek both up – and downstream of the road, but we found the greatest concentration upstream. There is no formal trail, so feel free to wander. There is a great little wetland wildflower area up the Lady of the Woods Loop Trail behind the Administration building. Walk up the road between the visitor center and the administration building until you see the trail. The trail crosses the road a little ways past the administration building – take it to your right. Follow the trail up the creek to the wildflowers. Here, they reach their best display in late July and early August and are nearly gone by September. All photos, text and video by Jerry Haugen, Explore Pathfinder. Jerry also shot the video and performed all post production work. All materials are ©2010 Global Creations LLC, All Rights Reserved. I love the flower pictures. They all look so amazing. If I ever make it to Carter Lake, I will know the places to see the flowers. Anyways, I looked forward to your next post.